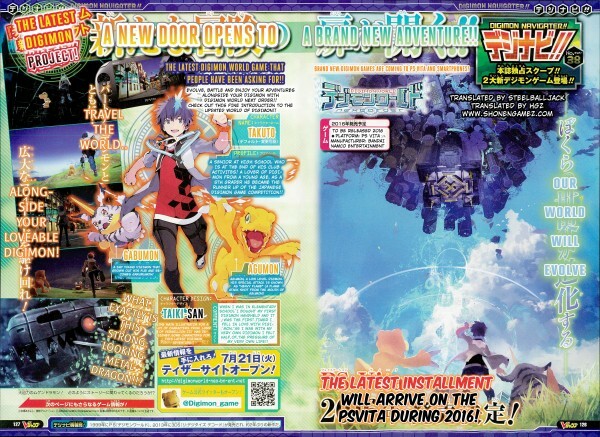 Lots more Digimon games coming out these days. 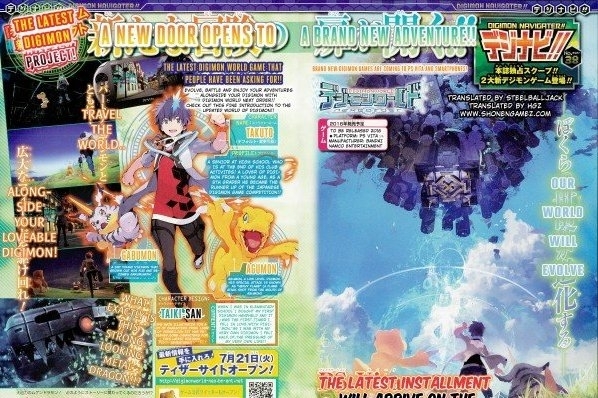 It seems like 2015 could be the year of Digimon, with all the announcements coming out left and right with English translations of Digimon favorites, new anime series, and now the latest game, Digimon World: Next Order, which was revealed by the most current issue of V Jump. The game will be released for PS Vita and will follow Takuto, the default protagonist, who's a senior in high school and Digimon lover. Two of his companion Digimon are Gabumon and Agumon, who Digivolve into Garurumon and Greymon, respectively. Taiki from Pixiv will be responsible for character design, and you can check out the game's official teaser website as of July 21. You can also follow updates regarding the game over at @Digimon_Game.